SKIDROW with another game, this time it’s for the fans of the racing genre. Enjoy FIM Speedway Grand Prix 4! 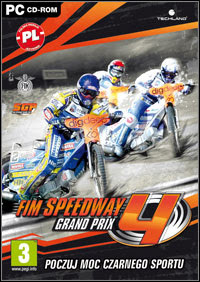 Description: FIM Speedway Grand Prix 4 recreates the excitement of taking part in Speedway’s FIM Grand Prix Championship. Race 500cc single-geared bikes with no brakes! Challenge the icons of Speedway and become Speedway World Champion! Take part in the speedway world championships and compete on the world’s greatest race tracks. Play the multi-season career mode to sign sponsorship contracts and tune your motorbike. Challenge the icons of speedway and beat your rivals in the most prestigious speedway events in the world.